Is there a better alternative to Louise? Is Louise really the best app in Applications category? Will Louise work good on macOS 10.13.4? Louise is an intelligent import utility for PostgreSQL 8.3.x. 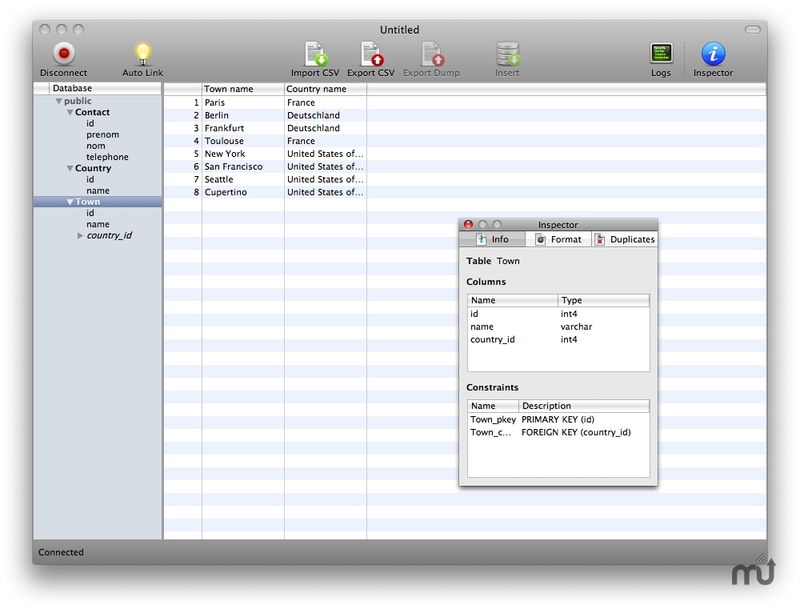 Its main purpose is to easily transfer data from csv files to PostgreSQL tables with a friendly user interface. User interface localized in French. Louise needs a review. Be the first to review this app and get the discussion started! Louise needs a rating. Be the first to rate this app and get the discussion started!